​Welcome! EZ Bus Tours & Travel is an elite transportation and travel company in Orlando, Florida. We have been in the transportation business for over 14 years, and providing charter buses is still our biggest strength. As a complement to our bus services we have expanded our offerings to include travel agency services such as group cruise bookings or attraction tickets which can be seamlessly combined with your transportation. To even further our offerings, we have opened an event decorating division. Enjoy our site and contact us for your free quote. 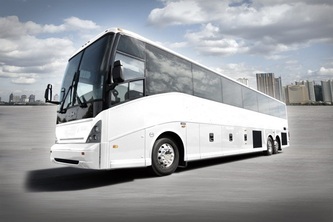 "the spirit of exceptional motor coach service"
Thinking of where to vacation with your group? Cruises offer a great alternative to a static destination. or sweet sixteen? Let our expert designer make your event special.